YOU ARE HERE:Home » Auto Insurance » Could Electronic Driver’s Licenses be in Florida’s Future? Florida could become one of the first states to allow drivers to present a digital driver’s license stored on cellphones as proof of identification. “It seems like an obvious transition with so much of our lives currently stored on our phones,” says Ellsworth Buck, Vice President of GreatFlorida Insurance, Florida’s largest independent auto insurance agency. An electronic driver’s license legislative bill will be introduced this spring. It is likely to be packaged with a proposal to create a database enabling police to access a driver’s auto insurance status as well. Many benefits have driver’s excited over this proposal. Losing a driver’s license would not be so inconvenient and few would argue against having to visit the Department of Motor Vehicles for a replacement. Also, a statewide data base would improve the chances of the police to catch uninsured drivers because the information is updated in real-time, unlike a hard copy of an insurance card or driver’s license. 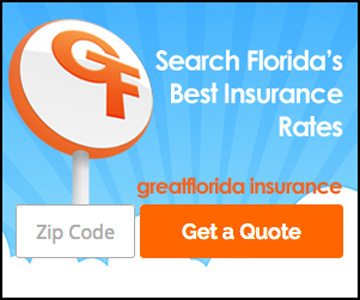 “This could help reduce the high percentage of uninsured motorists across the state,” says Ellsworth Buck, Vice President of GreatFlorida Insurance. The electronic database however, would not replace traditional driver’s licenses, merely be supplemental. Almost all states in the U.S. currently recognizes electronic copies of auto insurance cards so a driver’s license seems the next logical progression. According to the Sun Sentinel, 14 other state are also developing, studying and considering an electronic credentials program. They report, it could also be used for traffic stops, voting and purchasing liquor and any other reason you may need to present your driver’s license. Logically, a new database of information seems vulnerable to information hungry hackers. Yet, a digital driver’s license would be protected by passwords, PINs and other security features in addition to the typical security built into phones. If a plastic driver’s license is stolen or lost, you also face the same risks of someone taking your information without security protections.